2010 Beautiful house for 8 people. 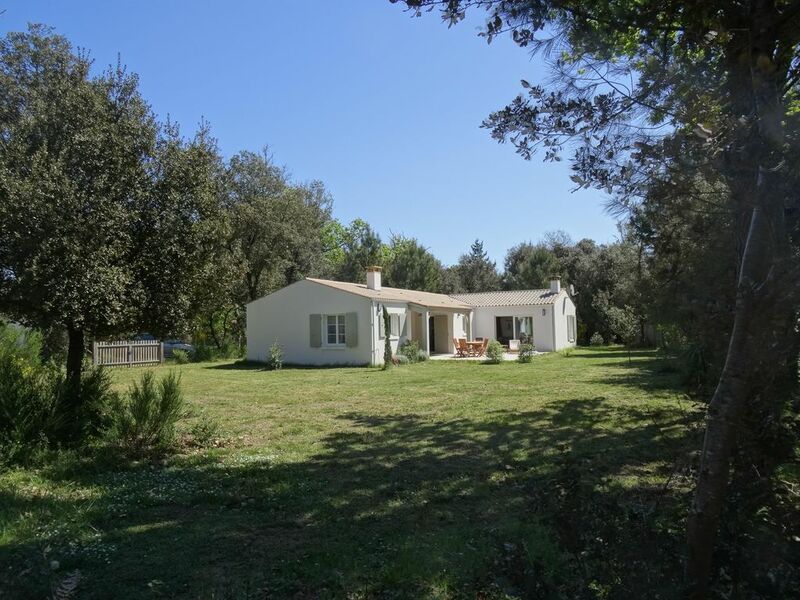 140 m2 in a garden of 2000 m2 with trees and fenced sunny bordering national forest. large terraces, awning. large living room of 50 m2 open to the outside by four large windows, + kitchen of 10 m2. 4 bedrooms, 2 bathrooms (1 bath, 2 walk-in showers), 2 separate toilets. barbecue loungers, garden furniture, ping pong. Cot, high chair. near bike paths, beaches, sailing club, equestrian center, aquatic center, tennis, golf 9 holes. intermarché shops and 3 km from Dolus. The children bathroom is spacious, it is equipped with double sinks over a cabinet of 140 cm with 4 drawers with large mirror and spot lights It has a bath with shower, + a large walk-in shower A large electric towel rail. + A towel holder The shower room has a parent in shower, a wooden cabinet with sink + mirror and spots The toilets are separated from bathrooms: one gives independent in the hallway, the other is a room adjoining the parents' bathroom with a bidet in addition to the toilet. Jolie maison, très bien équipée. Bien située, à 2 pas des plages ou des ports (la Cotinière en particulier). Ce fut une très bonne semaine, reposante et stimulante à la fois. Schönes Haus in ruhiger Lage . Für Strand Auto erforderlich. The house is located on the edge of the forest, at the end of a private road, near the Avail pass, 10 minutes walk from one of the most beautiful beaches of the island (beach of Vertbois) through woods . Surrounded by trees, it enjoys thanks to its large plot and orientation of lots of light and sun all day. She is very pleasant, practical and easy to maintain.